Will it be available also on Magento? Many thanks for your interest in our products. I am Janet, happy to support you in this case. Now we are developing in the WordPress platform, but we will update in the Magento in the future. So you do not worry about that. BTW, could you let me know more information about your business? What is your business model? Is this large, small or medium? How many products are you going to sell? If you let me know some information about your business, I will give you some advice. Is there any update about when the designertool will be available for magento? Besides that: is it possible to generate cuttinglines within the uploaded designs? For example: we produce banners and after the banners printed, we cut them with a machine. Therefor the design needs to contain a specified cutline. In Adobe illustrator its a line with a ‘spot color’ with the name: cutline. Is this an option? I am Janet here, it is my pleasure to support you in this case. Please wait for me. I will check with our developer and give the feedback soon. Hello is there any kind of support, I just purchased premium recurring, and the installation is not working, our designing is stuck on a loading loop, and your support have not sent any kind of response, is this company still alive? Many thanks for your purchasing our plugin. I am Janet here. Glad to meet you. First of all, I am sorry for this late reply because we had 2 days off for team building. 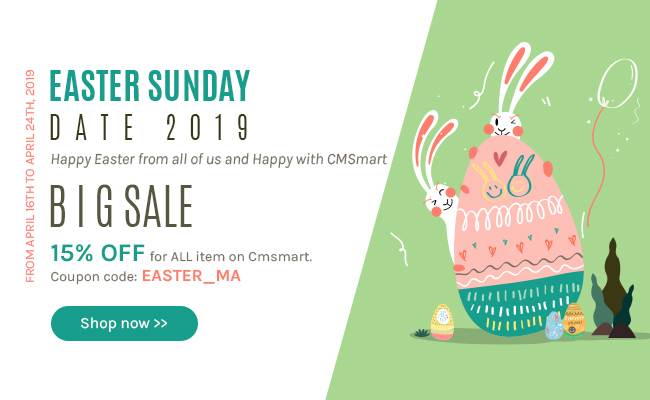 So now, please create a ticket at http://cmsmart.net/your-profile/user_list_ticket and provide your information for us as admin account of your website, FTP account, and your server cPanel info and let us know your detail issues, our dev will check and give you the feedback asap.